• Live and lead more authentically. • Attain clarity about your personal leadership identity, purpose and goals. • Build or make clearer your own leadership presence. • Bring original thinking and voice to organizational demands and opportunities. • Increase confidence to influence the challenges of working in dynamic environments. • Foster appreciation for inclusive values in the workplace such as collaboration, compassion, and communication. • Three one-day face-to-face group sessions from 9:00 – 5:00 PDT. Lunch will be served. 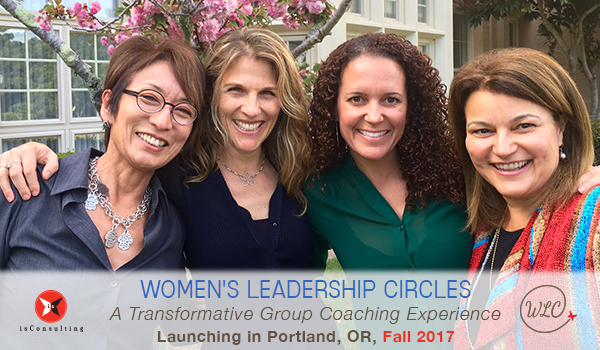 • Individual monthly hour-long coaching sessions with Renée Dineen. First coaching session occurs prior to first group session for two hours. (Total of seven hours of 1:1 coaching). • Monthly two-hour small-group virtual meetings (In months when there is no face-to-face group session). • Attendees: Maximum of eight women. Meetings will be held in Portland, OR. *Non-profit and other discounts available. Please inquire directly with Renée Dineen.